Is your patio or garage floor showing signs of wear and tear? Are you thinking about removing your concrete and replacing it? San Diego’s sun and elements can be really be tough on concrete and epoxy floors but we’ve got good news! You don’t need to start from scratch! 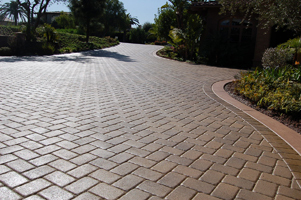 Quality Sealants can resurface, reseal and repair those beat up concrete patio and garage floors. Just give us a call and let our helpful staff educate you on your options. We’re here to answer questions and would be happy to provide a quote for any size project from a single garage to a huge commercial or warehouse facility. Looking for an overlay option for my rear patio which has mixed concrete and flagstone. Looking for the most economical way to create a consistent look over the entire surface.